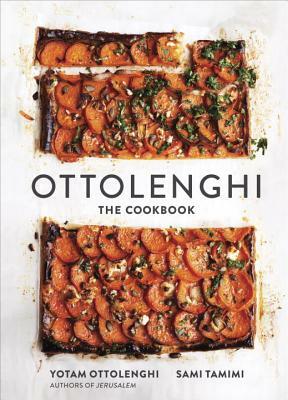 Available for the first time in an American edition, this debut cookbook, from bestselling authors Yotam Ottolenghi and Sami Tamimi of Plenty and Jerusalem, features 140 recipes culled from the popular Ottolenghi restaurants and inspired by the diverse culinary traditions of the Mediterranean. Yotam Ottolenghi’s four eponymous restaurants—each a patisserie, deli, restaurant, and bakery rolled into one—are among London’s most popular culinary destinations. Now available for the first time in an American edition and updated with US measurements throughout, this debut cookbook from the celebrated, bestselling authors of Jerusalem and Plenty features 140 recipes culled from the popular Ottolenghi restaurants and inspired by the diverse culinary traditions of the Mediterranean. The recipes reflect the authors’ upbringings in Jerusalem yet also incorporate culinary traditions from California, Italy, and North Africa, among others. Featuring abundant produce and numerous fish and meat dishes, as well as Ottolenghi’s famed cakes and breads, Ottolenghi invites you into a world of inventive flavors and fresh, vibrant cooking. YOTAM OTTOLENGHI is the author of the New York Times best-selling cookbooks Ottolenghi Simple, Plenty, Plenty More, NOPI, Sweet, and Jerusalem, which was awarded Cookbook of the Year by the International Association of Culinary Professionals and Best International Cookbook by the James Beard Foundation. He lives in London, where he co-owns an eponymous group of restaurants and the fine-dining restaurant Nopi. SAMI TAMIMI is a partner and head chef at Ottolenghi. Their 2012 Cookbook, Jerusalem, was a New York Times bestseller and was awarded Cookbook of the Year by the International Association of Culinary Professionals.